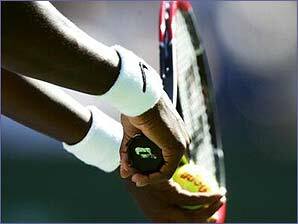 Tennis is a game played on a rectangular court by either two players (singles) or four (doubles). Players stand on opposite sides of a net and use a stringed racket to hit a ball back and forth to each other. Each player has a maximum of one bounce after it has been hit by their opponent to return the ball over the net and within the boundaries of the court. Once a player fails to do any of these three things, her opponent wins a point. The aim is to win enough points to win a game and enough games to win a set and enough sets to win a match. The first person to win six games wins a set. Matches are usually the best of three or the best of five sets. What makes a tennis legend?